December 5th was one of those occasions, where the weather service got it right. Here in Towson, MD we got to see our first snow for the upcoming winter. It was at least a half-inch and launched us into the mood for a hot breakfast at Cafe Mykonos and some hot liquids at Spro Coffee. 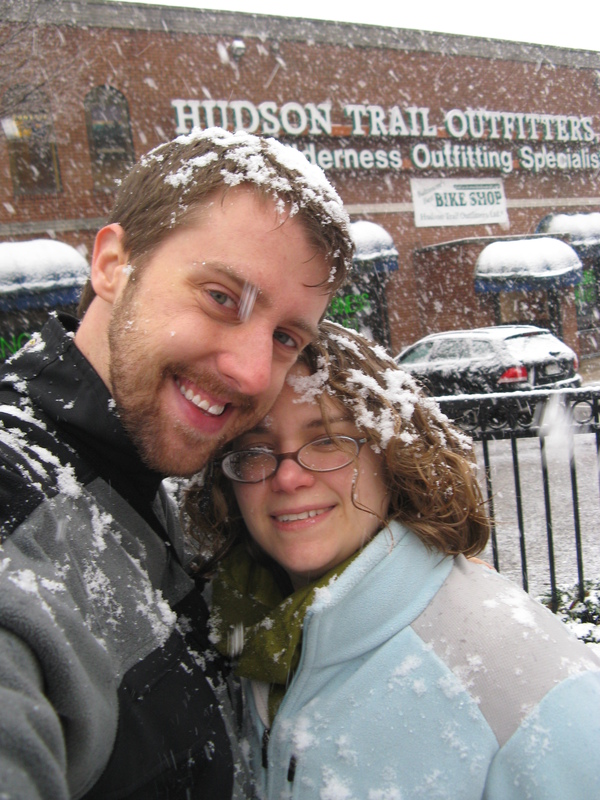 In addition to the snow, it was our first day off together in many weeks and we just spent the day together. There is something magical about a blanket of snow covering the landscape and everywhere we went, it felt like we were visiting for the first time. If you saw snow yesterday, we sincerely hoped you took a few minutes, drank some hot cocoa, and enjoyed the view.